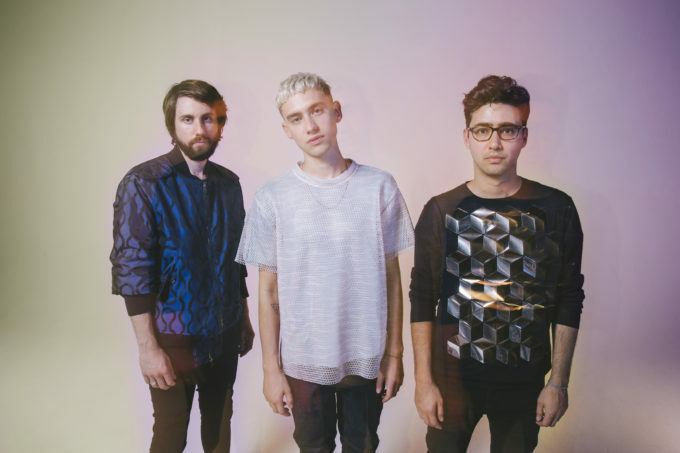 Olly Alexander and the boys from Years & Years have crashed the internet today with the clip for their new single ‘Meteorite’. And if you’re contemplating doing a spot of disco dancing over the weekend, you could do much worse by using this as your soundtrack. Yes, the dance/pop nugget, which is lifted from the soundtrack to ‘Bridget Jones’s Diary’ is right up our alley stylistically, with glimmering pop production, a heady beat and a music video featuring Olly in a glittery top and baggy pants, an assortment of coloured curtains and an all-in dance routine (and when we say ‘all in’, we mean than even Mikey and Emre get in on the action too).